The Michigan Wolverines held off the Florida State Seminoles on Saturday, winning 58-54 to advance to the Final Four. The Seminoles made a run at the end of the game, but Michigan won the game behind 17 points from Charles Matthews. They will play Saturday against the NCAA Tournament's Cinderella story, the Loyola-Chicago Ramblers. Michigan entered the tournament as the 10th best team in numberFire's power rankings. The #11 Loyola-Chicago Ramblers continued dancing on Saturday with a 78-62 win over the #9 Kansas State Wildcats to advance to the Final Four. The Ramblers were led by Ben Richardson, who had 23 points on 7-for-10 shooting, and he was an impressive 6-for-7 from beyond the arc. It was the first blowout of the tournament for the Ramblers, who will meet #3 Michigan in San Antonio on Saturday for the right to play for the National Championship. 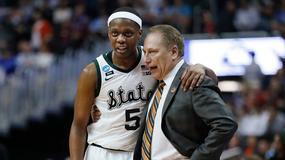 The Ramblers entered the tournament ranked 50th in numberFire's NCAA Power Rankings. The UMBC Retrievers became the first ever 16 seed to defeat a 1 seed as they defeated the Virginia Cavaliers 74-54 on Friday night. A lot of brackets were destroyed by the Retrievers' groundbreaking upset. Virginia, at 18.5%, was the most popular pick to win it all in ESPN Tournament Challenge. Meanwhile, UMBC -- the winners of the America East Conference -- were picked to advance at the second-lowest clip (3.4%) of any team. Heading into the First Round matchup, our models gave UMBC just a 0.8% chance of defeating Virginia. The 13-seed Marshall Thundering Herd moved onto the second round with a 81-75 upset over the 4-seed Wichita State Shockers on Friday. Marshall became the second 13-seed to advance, with the Buffalo Bulls upsetting the Arizona Wildcats on Thursday. It's just the the fourth time ever that two 13-seeds have won their first-round games. It's Marshall's first NCAA tournament win in program history. Marshall entered the tournament ranked just 112 in numberFire's NCAA Power Rankings. 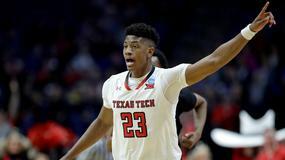 The 13-seed Buffalo Bulls advanced to the second round with a 89-68 upset over the 4-seed Arizona Wildcats on Thursday. Perhaps the most surprising part of Buffalo's underdog win was the final score wasn't even close. After the loss, Arizona's Deandre Ayton and Allonzo Trier officially declared for the NBA draft. Ayton is projected to potentially go number one overall. Buffalo with face the Kentucky Wildcats in next round. Buffalo entered the tournament ranked just 61st in numberFire's NCAA Power Rankings. The 11-seed Loyola Chicago Ramblers advanced to the second round with a 64-62 upset over the 6-seed Miami Hurricanes on Thursday. The Ramblers were a popular upset pick and they didn't disappoint on Thursday afternoon, as Donte Ingram drained a 28-foot bomb at the buzzer to upset the Hurricanes in the first round. 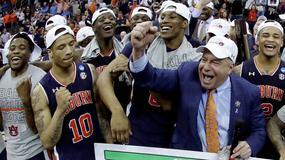 They will face the 3-seed Tennessee Volunteers on Saturday in the second round. The Kansas Jayhawks have been named the number-one seed in the Midwest Region of the 2018 NCAA Tournament. After sweeping the regular season and conference tournament, the Jayhawks enter the dance as a top seed and will open up action on Thursday versus Penn University. Kansas is 8th in numberFire's NCAAB Power Rankings. This is the first time in the school's history that they were named one of the top seeds in the tournament. Xavier will open up play on Friday against the winner of the N.C. Central-Texas Southern matchup. Despite earning a number-one seed, the Musketeers are 11th in numberFire's NCAAB Power Rankings. The Villanova Wildcats earned the top seed in the East Region for the NCAA Tournament. Villanova will face the winner of the LIU Brooklyn-Radford matchup. The Wildcats defeated Providence in overtime on Saturday to win their second straight Big East conference tournament championship. numberFire's NCAAB Power Rankings have the Wildcats as the top team overall entering the tournament. 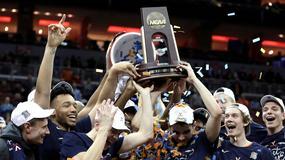 The Virginia Cavaliers earned the top overall seed in the 2018 NCAA Tournament. After winning the ACC in the regular season and conference tournament, Virginia will now enter the tournament as the top overall seed. As the top seed in the South Region, the Cavaliers will take on 16-seed UMBC on Friday in the first round. Virginia is 2nd overall in numberFire's NCAAB Power Rankings. The Kansas Jayhawks beat the West Virginia Mountaineers 81-70 on Saturday to win the Big 12 championship game. Kansas had five players in double figures behind Malik Newman's 20 points on 6-for-11 shooting. It was the Jayhawks' third win over West Virginia this season, and they should be looking at a favorable seed once the bracket comes out Sunday evening. 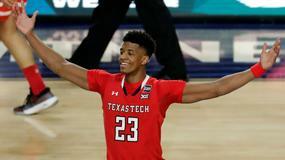 Kansas is the 8th-ranked team in numberFire's power rankings, and our models project them as a 2-seed in the NCAA Tournament. 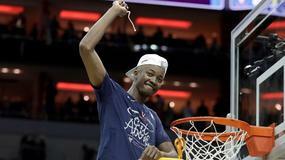 The Arizona Wildcats won the Pac-12 title on Saturday behind forward Deandre Ayton's 32 points on 14-for-20 shooting. Ayton added 18 rebounds, 2 assists, and 1 block in the 75-61 win over the USC Trojans. Ayton is a lock to be taken in the NBA draft lottery after this season, but first he'll see how far he can carry the Wildcats in the NCAA Tournament. After a dud in the first round of the Pac-12 tourney, Ayton finished off the win with back-to-back 32-point double-doubles on Friday and Saturday. The Wildcats are the 19th ranked team in numberFire's power rankings. Our models project them to be a 5-seed in the tournament. The Davidson Wildcats beat the Rhode Island Rams 58-57 in the A-10 championship game on Sunday to earn an automatic berth into the NCAA Tournament. Davidson's upset is a shot to the heart of bubble teams everywhere, because not only will the Wildcats be in the tournament, but Rhode Island will definitely get one of the coveted at-large bids. Despite going scoreless for a stretch of 13 minutes in the second half, Davidson was able to pull off the victory as the 3-seed in the A-10. Davidson is the 54th ranked team in numberFire's NCAAB power rankings this season. The Kentucky Wildcats defeated the Tennessee Volunteers 77-72 on Sunday to win the Southeastern Conference tournament championship. Shai Gilgeous-Alexander scored a game-high 29 points (10-of-16 field goals, 7-of-7 free throws) with 7 rebounds, 3 assists, 2 steals, and 2 3-pointers to help the Wildcats earn their fourth straight SEC tournament banner. As a team, Kentucky made half of their field goals (25-for-50) and shot 43.8 percent from beyond the arc. UK is 18th in numberFire's NCAAB Power Rankings and our models project them as a 4-seed in this year's tournament. Villanova Wildcats guard Jalen Brunson scored 31 points on 12-for-23 shooting Saturday, to go with 6 rebounds, 4 assists, and 1 steal in a 76-66 overtime win over the Providence Friars. Villanova is on a mission this year, and they looked poised to take the top seed in the NCAA Tournament. Brunson has been a big reason why, as he has now scored 31 points four times this season. Villanova is the number-one team in numberFire's power rankings, and our models project them as a 1-seed in the tournament. 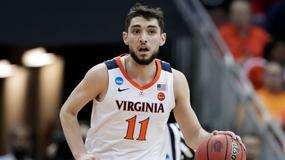 The Virginia Cavaliers beat the North Carolina Tar Heels on Saturday to win the ACC Tournament with a final score of 71-63. The Cavs had four players in double figures and shot over 50% from the three-point line in the impressive victory. 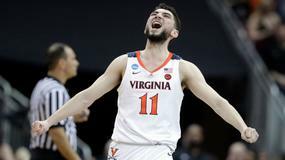 Virginia has been one of college basketball's best teams this season, and this win almost surely cements their spot as a 1-seed in the tournament. Virginia ranks 2nd in numberFire's power rankings and we expect them to be a 1-seed in the NCAA Tournament. The Texas Southern Tigers defeated the Arkansas Pine-Bluff Golden Lions 84-69 on Saturday to win the Southwestern Athletic Conference championship. Demontrae Jefferson scored 15 points (2-of-8 field goals, 11-of-11 free throws) with 6 rebounds and 7 assists while Trayvon Reed pitched in with a double-double off the bench to give the Tigers their fourth SWAC title in the past five seasons. According to @ESPNStatsInfo, they are the first team since 1985 to reach the NCAA tournament after starting the year 0-13 or worse. Texas Southern is 240th in numberFire's power rankings and we expect them to be a 16-seed in the tournament. Kentucky Wildcats forward Wenyen Gabriel scored 23 points and hit all 7 of his three-point attempts in Saturday's 86-63 win over the Alabama Crimson Tide. Gabriel was on fire from deep en route to tying a career-high in scoring. All but two of his points came from the three-point line as he added three blocks, two rebounds and a steal in 25 minutes. The Wildcats will face the winner of Arkansas and Tennessee in Sunday's SEC Final. Through 33 games, Gabriel is averaging 6.1 points, 5.3 rebounds and 0.9 threes in his sophomore season. We give his Wildcats an 83.34% chance of making the Tournament, and we project them as a 4 seed at this time.